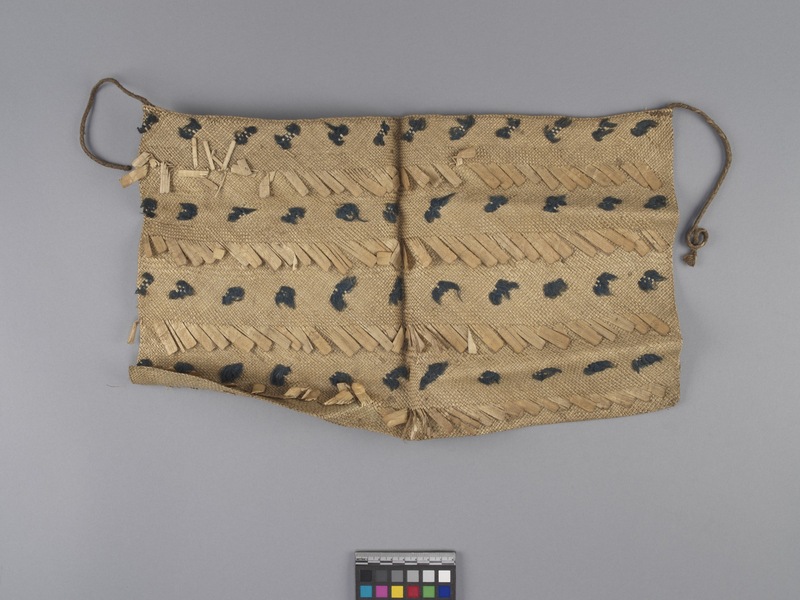 Item number 3254/53 from the MOA: University of British Columbia. 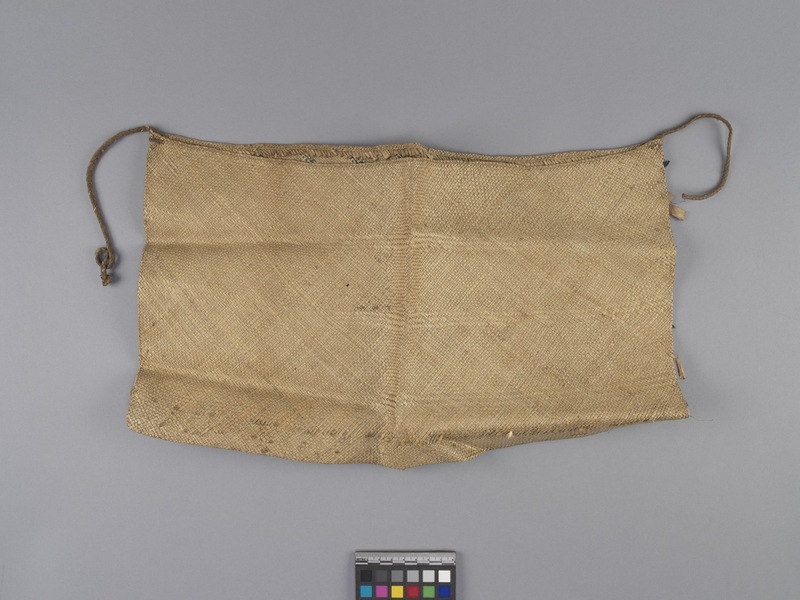 Rectangular woven bag. Cut pieces of grass are woven together, with the intact ends left out as fringe. Blue decorations are attached in a row to the woven area between each line of fringe. The back of the bag is plain. A short plaited cord of coconut fibre(?) is attached to the top of each side. The bag has a creased down the centre, and then two more lesser creases where it was folded again in thirds.